For casual comfort Sanya is your shoe. 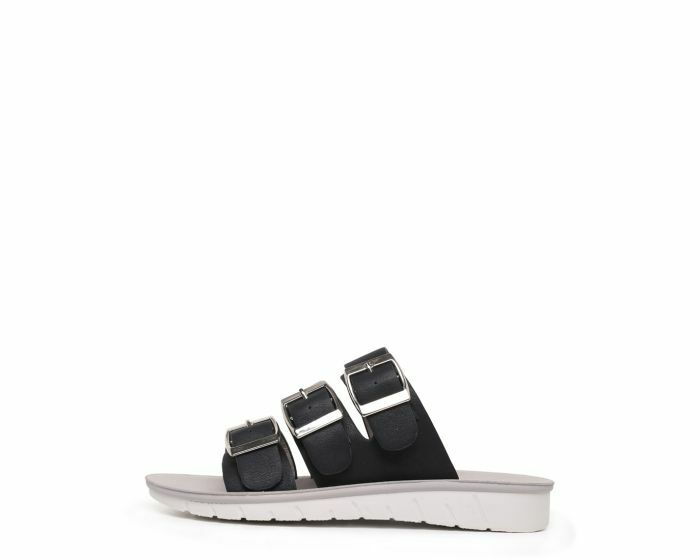 This ladies slide has three adjustable straps with a buckle detail for the perfect fit for any foot. Team them with your favourite pair of shorts for a cool summer look.